A business analyst is one who deals with the requirements gathering, elicitation, analysis, and modelling on a day-to-day basis. As today everything is integrated with technology, no doubt a simple and efficient business analysis tool helps in performing the business analysis tasks more quickly and efficiently. 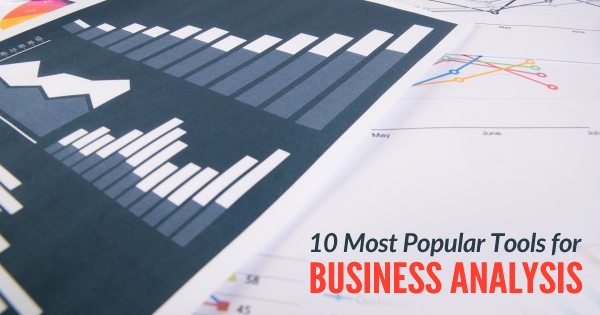 You will find plenty of best business analysis tools list on the internet. It is not possible for a business analyst to learn or use all such tools within the span of his work life. Hence, in this blog, we have focused on only the best business analysis tools which are used by almost all organizations. However, before using the tools, a business analyst must know the best business analysis techniques to implement these top business analysis tools correctly. 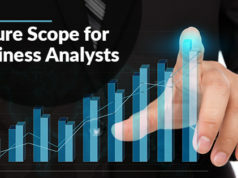 Why do the business analysts need the best business analysis tools for analysis? Category 1: What is the purpose of requirement related business analysis tools? In general, Microsoft Word or Microsoft Excel can be used for requirement management like tracking requirements and describing those requirements. However, these tools are not always effective, and specialized software for requirement management helps to manage the entire job via these tools. A project may have many requirements for a complete process flow which typically consists of use cases where each use case represents business functionality. Hence, with the change of any use case, the business analyst needs to update related requirement. Now for a human being, it is quite difficult to remember all the requirements and use cases mappings in memory. However, a tool can maintain these relationships easily even if the requirement increases drastically. Top business analysis tools have capabilities to notify about the changes in requirements automatically. Hence, if a business analyst changes the requirement using the tool, the development team gets notified without interacting with people. This helps to prevent code rework and effort loss. Besides the development team, it is also essential for the testing team to get updated on the changed requirements. Most of the functional test cases are requirement based. Hence, if the requirements get changed, testers need to change the test scripts right away to cover the new requirements. During the requirement analysis phase, business analysts collect a lot of requirements. However, most of them don’t need to be implemented at a later point in time. Furthermore, sometimes project de-scopes some of them as the related business objectives no longer seem valid for company objective. Hence, a requirement management tool helps in this regard by prioritizing de-scoped items appropriately. Moreover, with the help of tools, you can trace all requirements through features meeting business objectives. Hence, it becomes easy to identify the requirements that will provide the best ROI. There are scenarios where we need to maintain more than one use cases for multiple process flows. This is a complex situation where it is very hard to decide which requirements and process flow need to be updated for the change in a single use case. Best requirement analysis tools can help in this scenario to correctly identify and map the relations by easy navigation. Category 2: How do modelling tools help in diagrammatic representations? A pictorial representation is more effective than words. Hence, a business process description and its functional relations among different functional components look more well-constructed when represented through the diagram. Moreover, it reduces the possibilities of misinterpretations. Hence, the business analysts use top business analysis tools like MS Visio for UML to apply Use case modelling or Business process modelling to represent the business relations diagrammatically. Category 3: How do collaboration tools take part in business analysis process? A business analyst’s job is not a desktop job. Moreover, he needs to collaborate with different stakeholders and business to perform his duty. Not to mention it is an important task indeed. Hence, collaboration tools play a major role as not always all the stakeholders or SMEs become available for discussion and projects need to follow the stringent timeline. Thus, today many collaboration tools like Skype comes under best business analysis tools. This software is used to prepare and deliver formal presentations. A business analyst often faces the situations where he needs to communicate ideas, justify or deliver project updates to stakeholders. This communication becomes more effective in the form of a presentation through PowerPoint. All the tasks mentioned above can be well performed using Microsoft Excel which is a spreadsheet-like tool. Along with it, Excel provides several built-in mathematical and financial functions which can aid data analysis. Microsoft Word serves the purpose of requirement specification document. Organizations can create their specific template for documenting the requirements. It is a utility application which allows user preferred fonts, theme, objects, shapes, smart arts, charts and even option for embedding Visio diagrams. UML diagrams creation such as use case, sequence diagrams, and activity. Planning to become a certified business analyst? Here are the top Business Analysis Certifications, find which one is best for you. Sharing project documents come under the collaboration, and nowadays Google docs prove itself a very useful tool for sharing documents online with project members and stakeholders. Google docs support all types of files like .pdf, .txt,.docx, etc. It is one of the best business analysis tools for Requirements management. This tool provides a robust solution for business requirement management for large projects. Requirements management tools like Rational Requisite pro offers the functionality of word processing. Besides that, it can query and sort data using a dynamic database. Hence, it makes tracing requirements easy along with their changes and priority. Rational Requisite pro also has features like conducting impact analysis and managing an audit trail of changes. Balsamiq is among top business analysis tools for creating wireframes. The tool uses brainstorming sessions and provides immediate feedback from stakeholders. Balsamiq Mockups helps business to work faster and smarter. Moreover, it allows projects to host online. In addition to that, it works as a collaboration tool between team and clients. SWOT analysis is popularly used for strategic analysis and to evaluate a business. The tool is free to use and a most secured tool. Prototyping helps to get confirmation from the customer on the requirements. Hence, it is an important part of requirement gathering phase. Moreover, making a quick prototype helps the customer to understand the look and feel, and a prototyping tool helps a lot in doing so. Pencil is such a prototyping tool which comes as a standalone tool which can be downloaded and used locally. With a simple interface, it allows a user to drag and drop elements to create a screen. Looking for some guidance on choosing Business Analysis Certifications? Check out ultimate guide to Business Analysis Certifications here. Trello is a collaboration tool for business analysis which helps to collaborate and communicate between teams and share information securely. Along with that, it allows admin to analyze the business data. Business analysts often use SmartDraw as a business analytics tool to simplify their project management work. You can integrate it with tools like Microsoft Office, Google Drive, Dropbox, and OneDrive. SmartDraw Cloud plugins can increase functionality. It is a real-time Work Management tool for business analysis purpose. It helps to decrease the overall project analysis cost by storing information centrally. Preparing for ECBA certification exam? 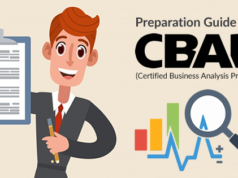 Here is the comprehensive preparation guide for ECBA certification exam. This is one of the best business analysis tools concerning its unique feature of integration capability with enterprise applications and open source software development tools. Though the best analysis tools mentioned above help to work business analysts smarter way, however, they alone are not the single solution to succeed. To become a successful and efficient business analyst, you should gain the core business analysis skills. 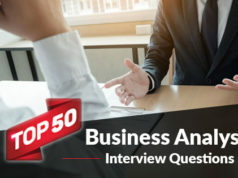 Certifications like ECBA, CCBA, CBAP, and PMI-PBA provide the excellent roadmap for business analysts to learn best business analysis practices. However, these are very vast courses which need in-depth, hands-on knowledge of the subject areas. Whizlabs has tailored courses for the certification mentioned above along with free tests to help to prepare the candidates to achieve the goal in a shorter period. Along with that, you will get exposure to practice with some of the best business analysis tools. Try our courses and experience the difference! Have any questions? Just write below in the comment box or submit here and we’ll be happy to answer.